Some days it feels as if I have pasta pumping through my veins. Must be the Italian in me, as pasta is one of my favorite foods, especially if it’s one of my grandfather’s recipes. 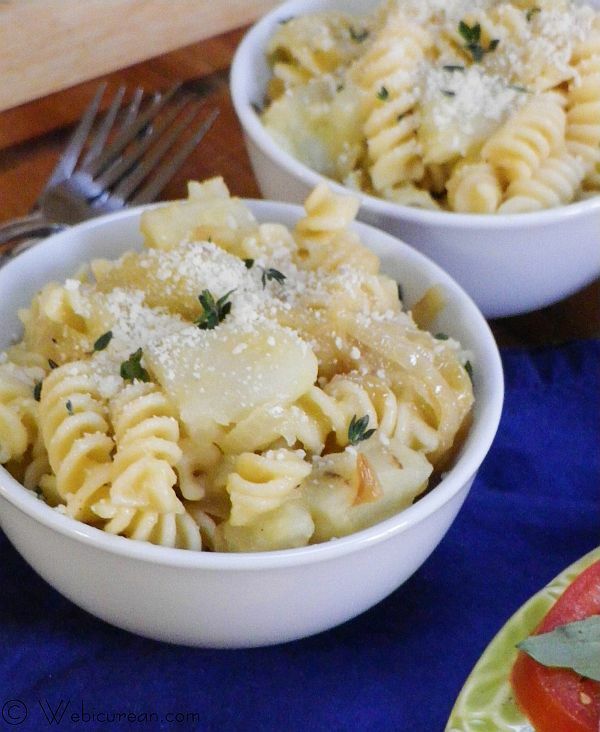 Tammi over at Mamma’s Meals is hosting a meatless #SundaySupper this week, so why not bring one of my grandfather’s specialities–pasta e patate. Even without the translation, I think you know where we’re heading–paste on paste. Tossed with caramelized onions and copious amounts of freshly grated Parmesan, we’re talking serious comfort food. While I never had the opportunity to meet my grandfather, my mom has shared many stories about him over the years. One of her favorite memories were their trips to the family’s cabin on Tomales Bay, where they’d feast on whatever fish got snared on his line, and if he caught nothing, they’d have pasta patate for dinner. That’s my grandfather, Gus. He was a Renaissance man of sorts, born in Coglio, Switzerland in 1884, he had traveled the world by the age of 19, including exploring the Yukon to return with a small cache of gold. 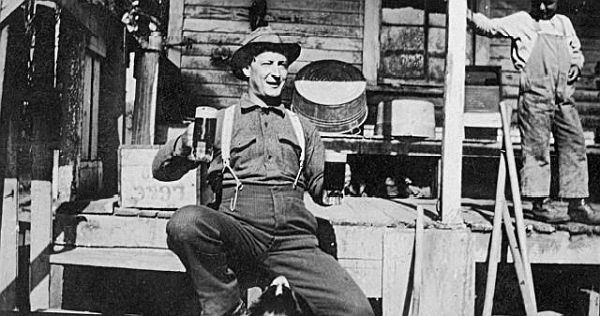 He was proficient in several languages, brewed his own beer, made his own wine, and may or may not have operated a speakeasy during prohibition. He enjoyed cooking and entertaining and spent his lifetime in the hospitality industry. He’s one person I admire greatly, despite never having met. His simple pasta dish speaks for itself. The sauce is made of nothing more than onions that have been caramelized in butter and olive oil. A splash of the starchy pasta water is added to round out the sauce, which is tossed with a combination of pasta and potatoes. It may not sound like much, but it’s amazingly flavorful, especially when sprinkled with a generous dose of Parmesan cheese. We rounded out our meatless meal with the ever dazzling caprese salad and Ina Garten’s Parmesan roasted broccoli. Despite all the food, there were no leftovers. First, get your pot of salted water on, as it’ll take a while to bring to a boil. 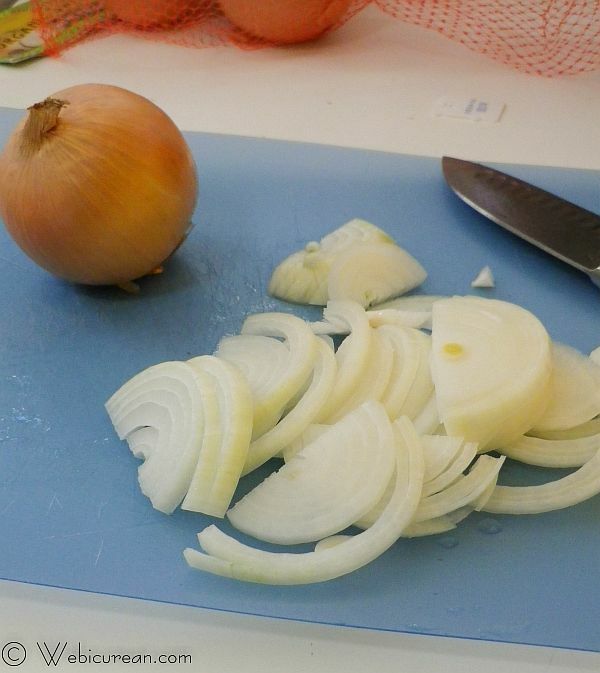 While you’re waiting, slice up the onions. 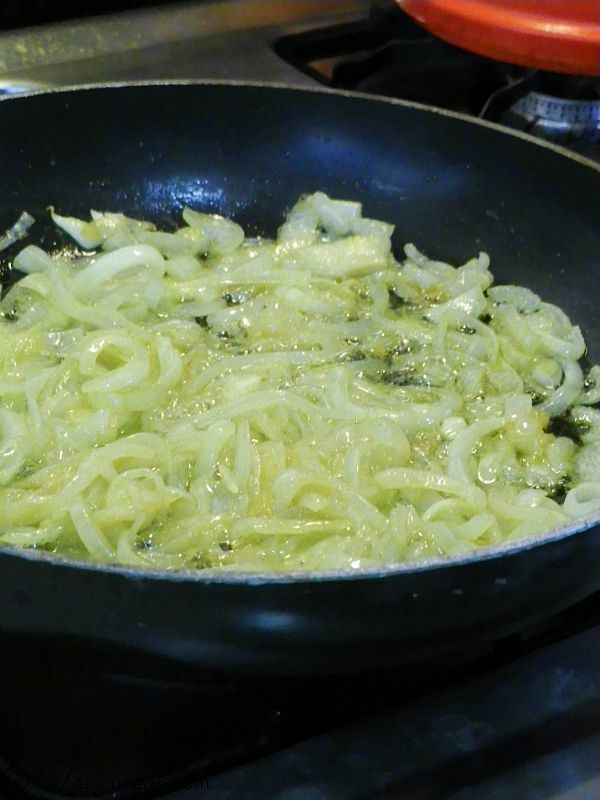 Melt the butter and olive oil over medium heat in a large skillet, then add the onions, along with the salt and pepper. Get the potatoes washed, peeled, and cubed.Â Keep stirring those onions! By now the water should be boiling, so first add the pasta, then the potatoes. Return to a boil, and continue to cook until the pasta is al dente and the potatoes are cooked through. Before draining the pasta, reserve about a cup of that starchy water, adding 1/2 of it to the onions, then more if needed. Toss the pasta with the onions, and serve piping hot with lots of Parmesan cheese (and a little thyme, if desired). Tossed with a sauce made entirely of caramelized onions, butter, and olive oil, pasta patate, or pasta with potatoes, is a rich and filling meatless dish from Italy. While you are waiting for the water to boil, melt the butter and olive oil in a large skillet over medium heat. Thinly slice the onions and add them to the pan with the butter and olive oil. Cook these over medium heat until they start to caramelize. Add the salt and pepper, and continue stirring while the onions cook. Wash and peel the potatoes, then cut into bite-sized chunks thick enough to cook in the same amount of time as the pasta. 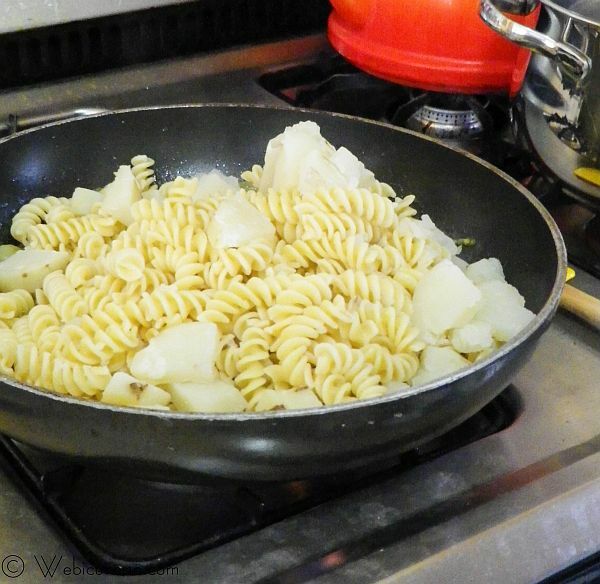 Once the water is boiling, add the pasta, then the potatoes. Cook about 10 minutes or so until the pasta is al dente and the potatoes are cooked through. Reserve about a cup of the pasta/potato water, then drain the pasta and potatoes. 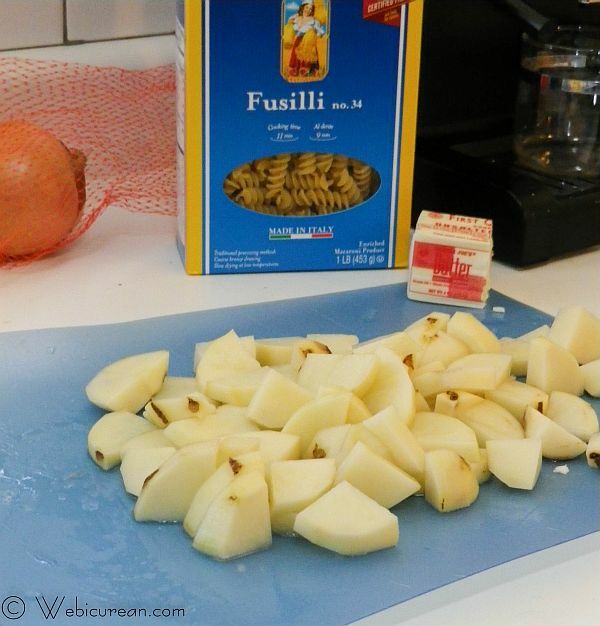 When the onions are mostly golden, stir in ½ cup of the starchy water, then toss with the pasta and potatoes. Add more of the water, if desired, to make it a little more saucy. Toss with copious amounts of Parmesan cheese before serving. Let’s check out the other meatless wonders the others have cooked up! Deconstructed Vegan â€œLasagnaâ€ by What Smells So Good? Join the #SundaySupper conversation on twitter on Sunday!Â We tweet throughout the day and share recipes from all over the world. Our weekly chat starts at 7:00 pm ET. 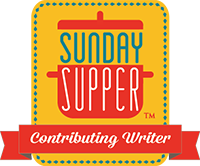 Follow theÂ #SundaySupper hashtagÂ and remember to include it in your tweets to join in the chat. Check out ourÂ #SundaySupper Pinterest boardÂ for more fabulous recipes and food photos.Â Would you like to join the Sunday Supper Movement?Â Itâ€™s easy. You can sign up by clicking here:Â Sunday Supper Movement. You will not believe this, but I have recently published a recipe for Pasta e Patate too on my blog! The version I have (my mom’s version) also has a tiny bit of tomato puree in it, but they are really similar. It is quite a popular (and extremely delicious) dish in Italy! 🙂 BTW, I LOVE the photo of your grandfather! How funny is that! I’ll have to try your mom’s version–I’ll bet a little tomato works well in this! I would have never thought of adding potatoes! I love this dish! What a character he must have been! Funny enough, the real character in the family was my great Uncle Fritz, who one time brought Baby Face Nelson to my grandparents’ for dinner. Boy was my grandmother mad at him! I love that you’ve shared one of your grandfather’s recipe. He sounds like he led a full life…and he certainly enjoyed delicious food. I’ve never thought of adding potatoes to pasta, but I’m sure the hubby would say I hit a home run if I made this for dinner! This makes me think of a classic fro my heritage – pierogies! Pasta-type dough filled with mashed potatoes. Gotta love the carb-obsession of our ancestry! 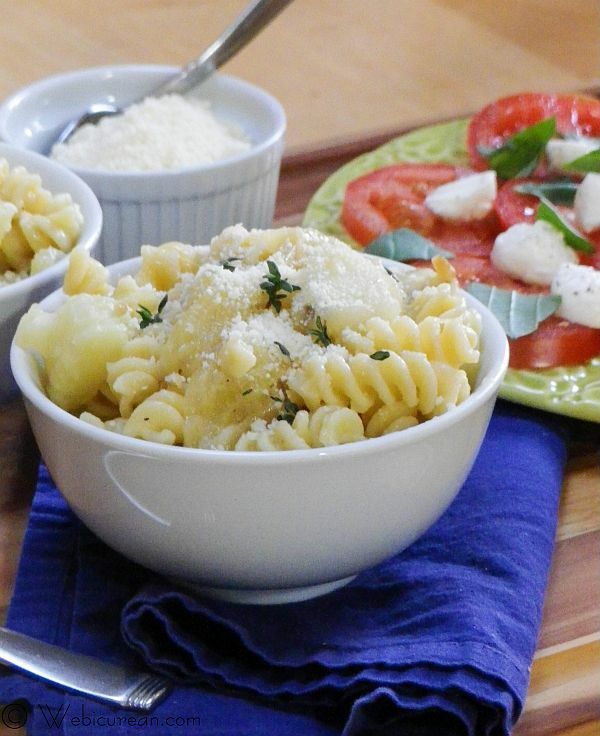 You had me at pasta and potatoes — two of my favorite things! Yum! Mmmmmm this does sound like the perfect comfort food! Potatoes with pasta? Yum! This sounds delicious! What a fascinating person your grandfather must have been, Anne! It is wonderful that you are continuing his legacy by cooking this dish and making sure he is not forgotten. You just can’t go wrong with a dish that started with caramelizing onions! I can’t wait to try this. Love this pasta patate!! It’s gorgeous and looks absolutely delicious!! I love that old photo! What a great treasure for you to have and share. Another great treasure is this recipe. Lovely indeed. What a colorful family member! His pasta dish sounds wonderful! Tons of caramelized onions, pasta, and parmesan? Yes, please sign me up! Perfect for carb addicts like me! You had me at caramelized onions! This is such a fantastic week day meal idea. Thanks for sharing. I’m always in where there are copious amounts of caramelized onions and Parmesan involved! Pasta.. one of those simple dishes that you cant go wrong with.. filling.. good for the budget concious.. and tasty as hell! Thanks! My mom grew up during the depression era, so indeed I’m sure there were lots of budget friendly meals–fortunately this one survived the years! Simple but seems to be delicious. I haven’t tried this one. Maybe one of these days.